Announcing TIGJam UK 7! A weekend of making games in Cambridge, UK. Everyone’s welcome to come and make games, regardless of experience or background :) More information on this forum thread. Vote for game genres and themes for Mojang’s game jam for this weekend, and they will make a game from the candidates with the most and least votes in each category. An RTS beat ’em up influenced by steampunk and ancient Egypt is the current winner. All donations made for the game through Humble Bundle will go to charity. So you’ll get the game while helping charity, and you get to pick restrictions for the genres and themes beforehand. Let’s hope this is one of those times when every vote counts. Our annual TIGJam is approaching! It’s once again taking place at the spacious Hacker Dojo in sunny Mountainview, California. Check the website for more information, including how to sign-up. The sign-up fee is $50 and pays for, among other things, a TIGJam t-shirt, refreshments during the Jam, and the traditional Indian dinner at the end. There are about 20 seats left, so git on it! For the uninitiated, the jam lasts 4 days and is open to anyone interested in creating something, whether it’s a game, artwork, or music. You do not need to show up with a project in mind! Just be ready to build and play. Last year at TIGJam we played a lot of Street Fighter (IV and Third Strike) in between game-making and also held impromptu tournaments in Madhouse and NIDHOGG. There’s always a good chance of trying out some cool in-development indie games at TIGJam (or rediscovering old ones). Many thanks to Matthew Wegner and Jeff Lindsay for organizing the jam, and thanks to Kyle Pulver for designing the jam’s website. One of the many spontaneous acts of awesome that occurred at TIGJam 3 this past weekend was an impromptu tournament with Paul Hubans’ 2007 horror shooter MADHOUSE. In the wee hours of the third night, about a dozen or so hearty jammers signed up to sit next to each other in gory, one-on-one combat. Providing commentary was none other than Paul himself, who egged on the competitors and managed to crack up everyone who was watching (especially himself). It was definitely a memorable experience for us all, so I wanted to give the game a long-due mention on the front page. In Versus Mode, the goal is to end the match with the most kills against your opponent. 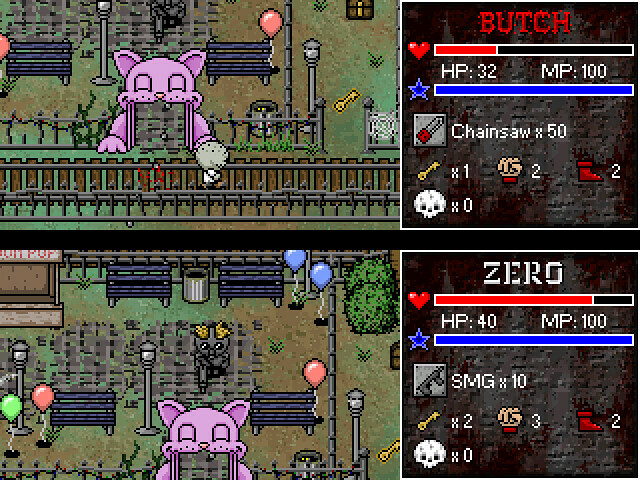 In the “vanilla” version of the game, you can select one of four characters, each with different attributes and special attacks. “Zero”, for example, has exceptional attack power but low health, and can turn invisible to sneak up on enemies. There are also six stages that have different themes, traps, and secrets. MADHOUSE is rough around the edges and not particularly well-balanced, but has the kind of charm that I love to see in indie games… to the point where even the imbalances feel “right” at times (or at least really funny). There’s also quite a bit of unique detail in the characters, weapons, and environments, which keeps it feeling fresh match after match. I’ll be honest, though, the best way to play is the way we played it: with the Special Edition (unavailable for download as of writing), with Paul there giggling to himself, and on a projector with a bunch of other nerds watching and cheering. Still, even at home with just one other friend I think MADHOUSE has a lot of entertainment value in it. And the single-player Arcade Mode, which Paul admits having tacked-on, is not at all bad, either! 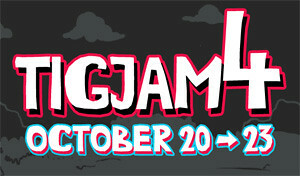 Tickets are now available for BIGJam 2010. Get them here. Set in the lovely environs of St. Oberholz café in Berlin’s Mitte district, BIGJam features rapid-fire themed jamming sessions, presentations on intriguing topics by ready and willing attendees (hint hint), and a range of pleasant social interactions, including (but by no means limited to) an incredibly enticing afterparty. If you’re a programmer, designer, musician or artist, get yourself down. We had people coming from all over Europe last time — in fact, there was even an American presence — so, you know, let’s try to do even better this year. Know anyone from the other five continents? Rope them in. Extra points for ‘residents’ of Antarctica. 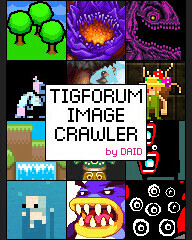 Take a gander at the TIGForums thread for more info. 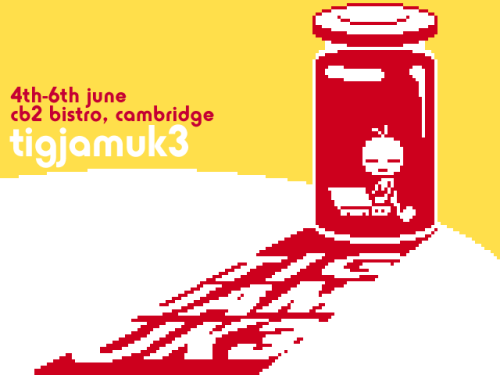 The sequel to this January’s game jam in Cambridge is happening in June! Space is limited, so book your tickets now! At the last jam, a lot of people stayed at this hostel, which has extremely reasonable group rates. The event is within walking distance from Cambridge Train Station. It’s very easy to get to Cambridge from Stansted airport, or you can travel from London from the Kings Cross or Liverpool Street stations. There’s also another jam being planned in London for the end of June – more details on that soon!